I love being in the kitchen, but lately, cooking has taken on a whole new meaning. When you have a babe that won't let you out of her sight for too long, cooking turns into whatever you can whip up at lightning speed. Bonus points if it's healthy and you can make enough for leftovers the next day. Lately, I've been digging ground turkey. It is a super flexible ingredient and can be used as a substitute for ground beef in your favourite hamburger, taco or even spaghetti and meatballs recipes, reducing the amount of saturated fat and cholesterol in your meals. Low in calories and high in protein, ground turkey also contains selenium, an important antioxidant. 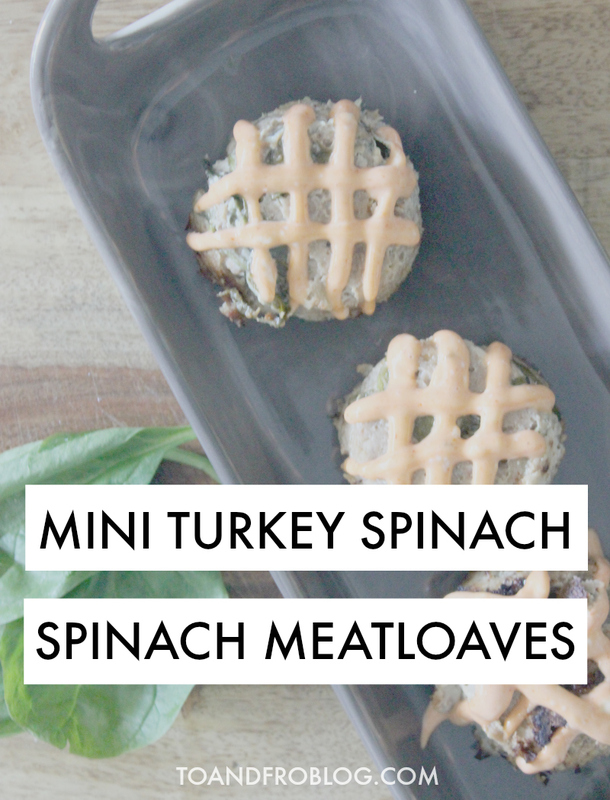 This recipe for mini turkey spinach meatloaves with spicy mayo can be eaten for breakfast, lunch, dinner or even a mid-day snack, and can be served hot, at room temperature or even chilled. Bingo, my kind of meal! And spicy mayo because, well, spicy mayo is good on just about anything. I could literally eat that stuff with a spoon. 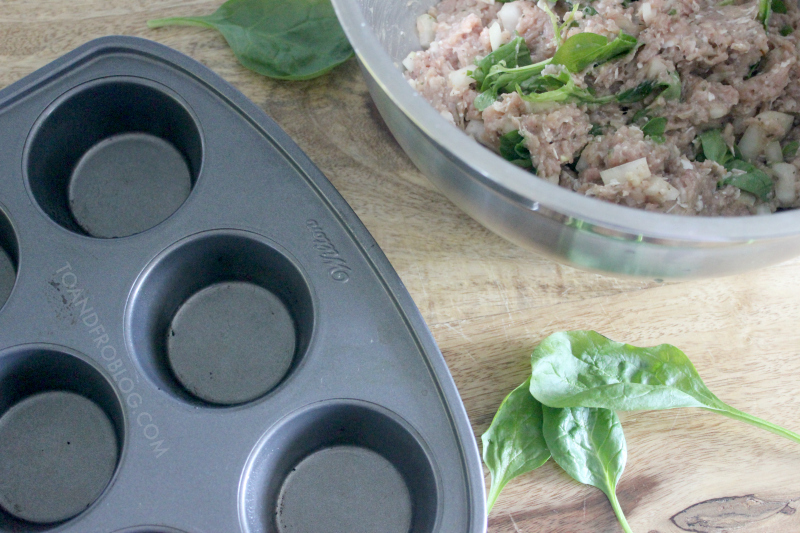 Lightly grease a large muffin tin and set aside. In a large bowl, mix together all ingredients thoroughly with clean hands. 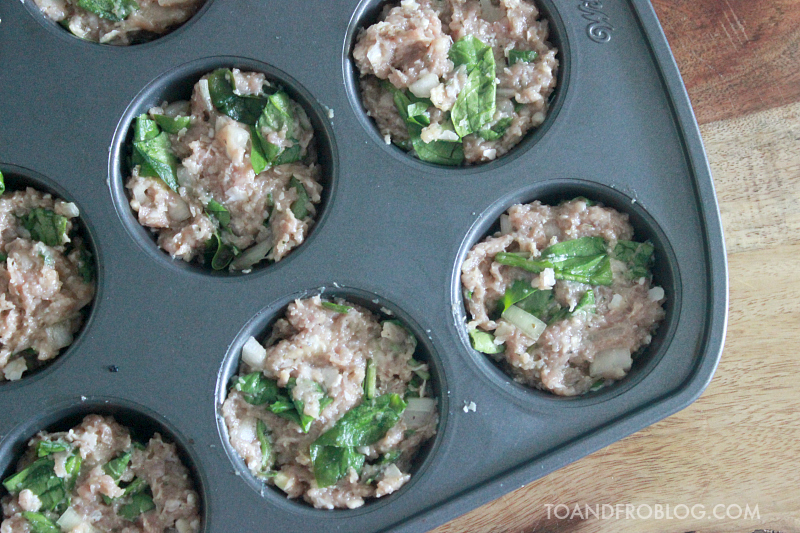 Fill individual muffin tins with mixture, patting down the tops. Bake until golden brown or cooked through, approximately 25-30 minutes. 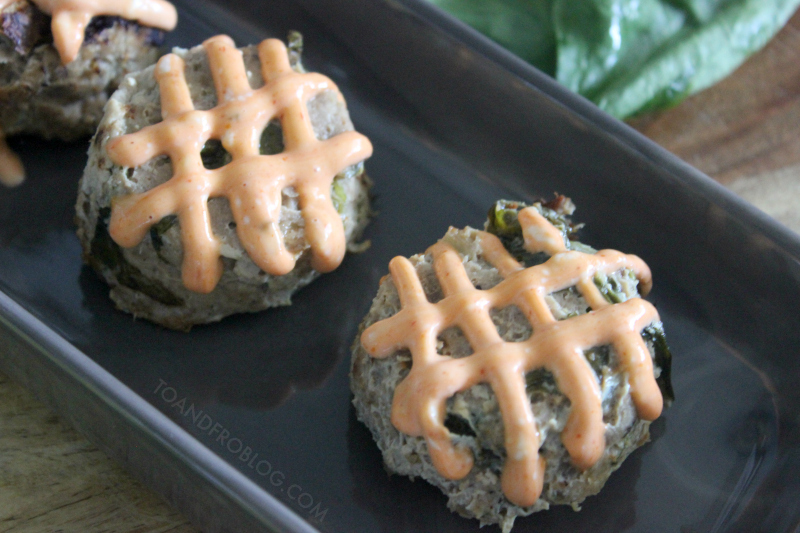 As mini meatloaves bake, combine Sriracha and mayonnaise to make spicy mayo dressing. Remove from oven and allow to rest for approximately 10 minutes. Remove each loaf from muffin tins and drizzle with spicy mayo before serving. For more family-friendly meals, check out this recipe for Slow Cooker Pulled Pork Taco Bowls.